Disney princesses continue to be strong in our house, at least for my littlest princess. After an obsessive bout with Frozen and all things Frozen, my Chloe has switched her attention to Disney’s Descendants. If you don’t yet know about Descendants, it’s a cute movie about the children of Disney’s fairy tale characters. So, after dressing up as one of the characters in Descendants, Chloe, of course, wanted a themed party around the magical characters. The jay descendants costume was very popular among the guests too! 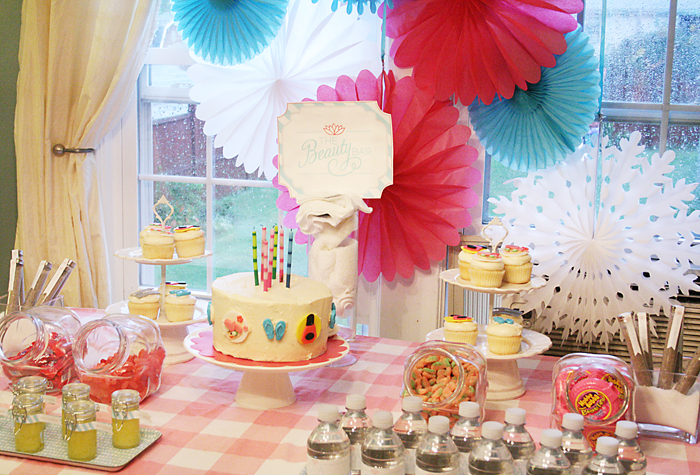 I am excited to finally share with you Chloe’s Descendants Birthday Party that I threw for her back in December. But with all the Christmas and New Year posts, I had to delay posting this cute Descendants Birthday Party until now! I teamed up again with Melissa’s Designs to bring you darling free printables that you can use at your child’s Descendants Birthday Party. The download link is at the end of the post. The girls had so much fun at the party! I’m sharing all the party details below. 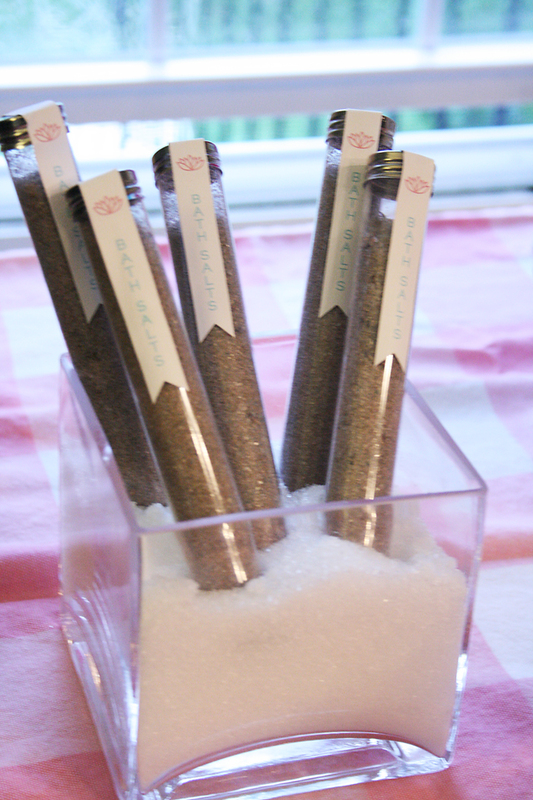 Sweet tables are favorite among party guests, especially if they are little! 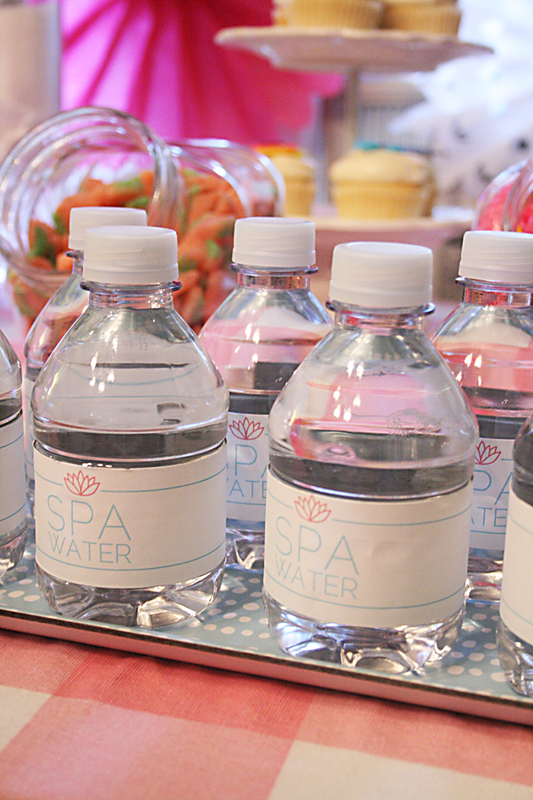 Also they are just visually appealing and a great way to emphasize the party theme. 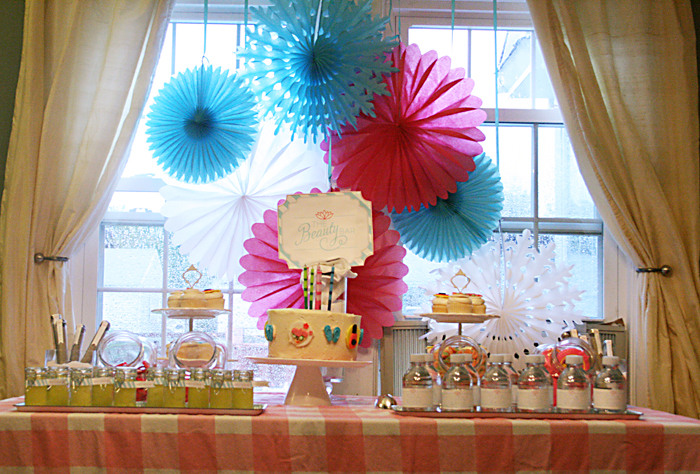 I love watching the children’s eyes get widen and ooh and ahh at the sweet table. It really builds up the anticipation of the party. I usually don’t let the guests touch anything on the table until cake is served. 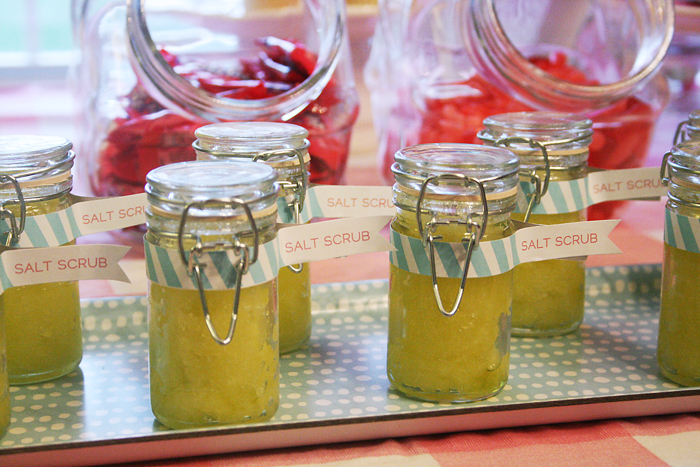 And then the candy in the jars are always apart of their take-home gift. So they usually don’t have any candy until they get home. 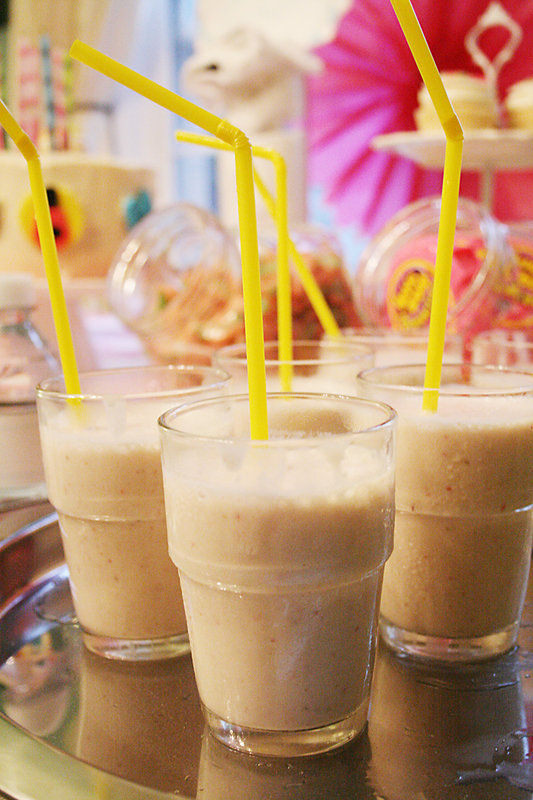 This helps keep the sugar levels under control! For the Descendants’ Sweet table, we focused on the red apple theme in Descendants and Mal’s color purple. For all the party baking sweets, I turned to Crystal from Bell & Co Cakes. She is amazing! Her cakes are not only look perfect, but the taste is so yummy. We ate the entire cake in one day! 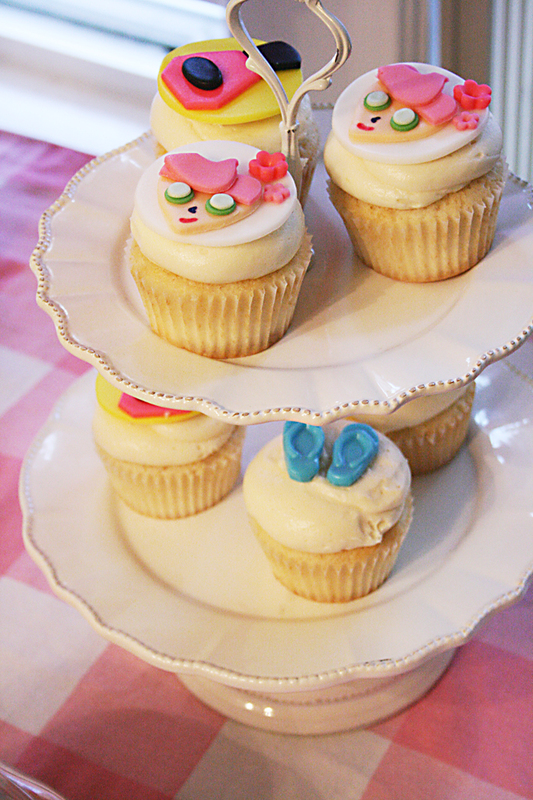 The party designs were just how I wanted them–cake pops, cupcakes and cake–they all came out so perfect. 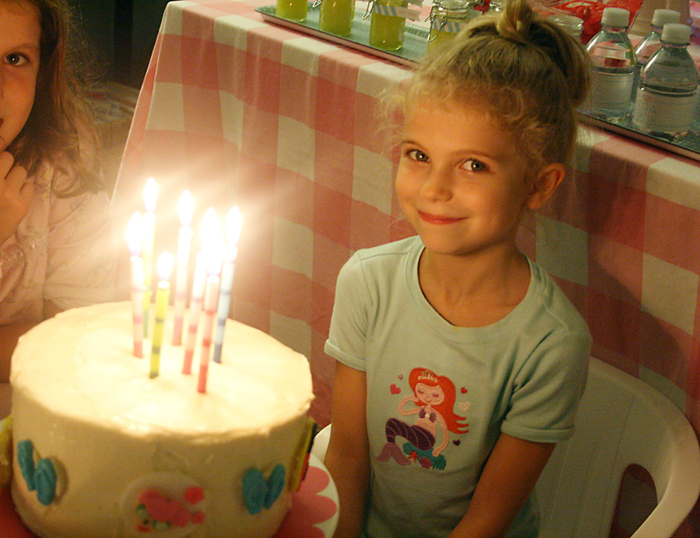 The best part of the cake was the fondant, which I usually don’t like. For the Descendants Birthday party entertainment, we decided to do make-up and hair party. 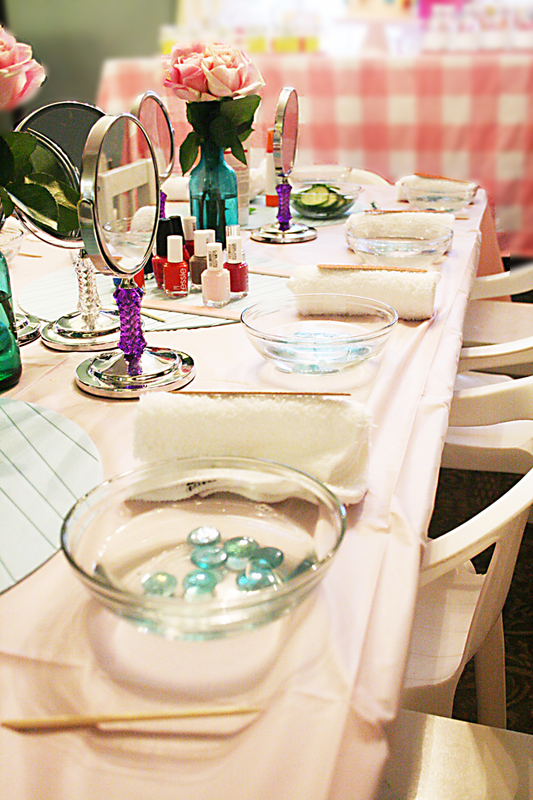 Each of the party guest had a table setting with make-up supplies, wash cloth and a mirror. Inside the black and white container was cotton pads, Q-tips, disposable eye shadow brush and nail file. 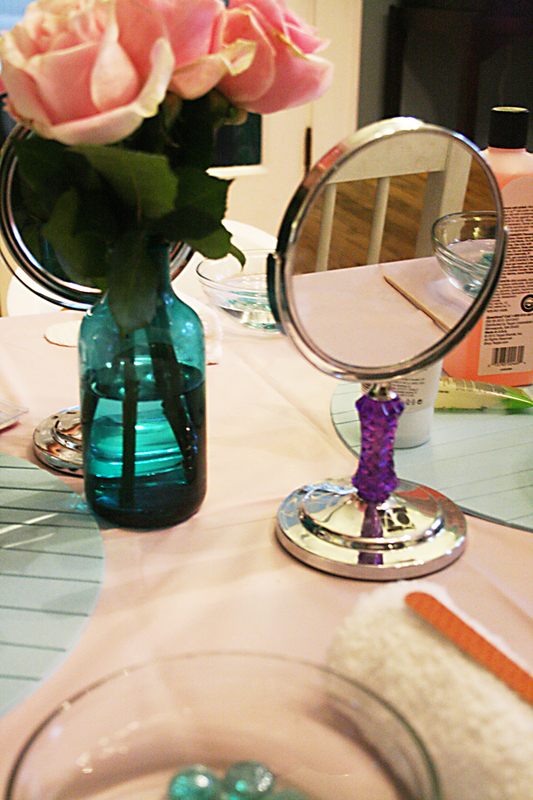 In the middle of the table, I bought cheap make-up palettes of lip colors, eye shadows and blush. Also in the middle of the table were hair tattoos (which the girls obsessed over), hair chalk colors, glitter body gel and body gems. 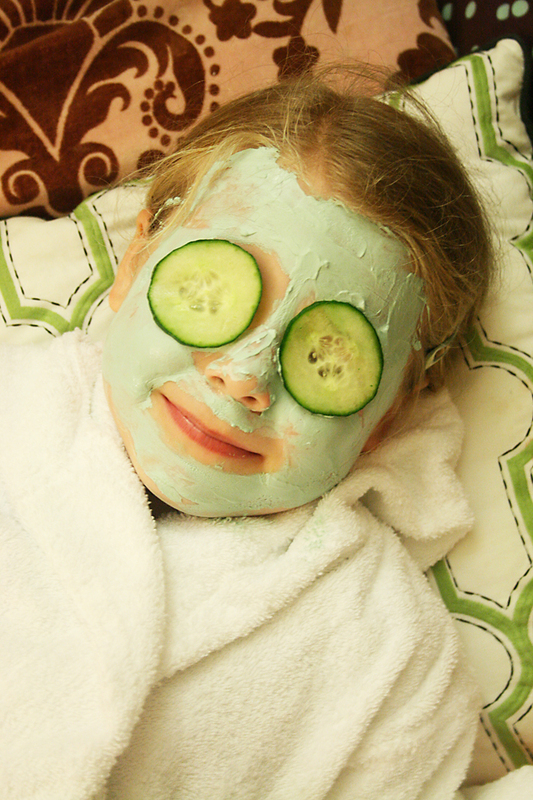 The girls were so excited to beauty themselves up all by themselves. I did have my older daughter and friend over to help any of the girls apply the make up if needed. 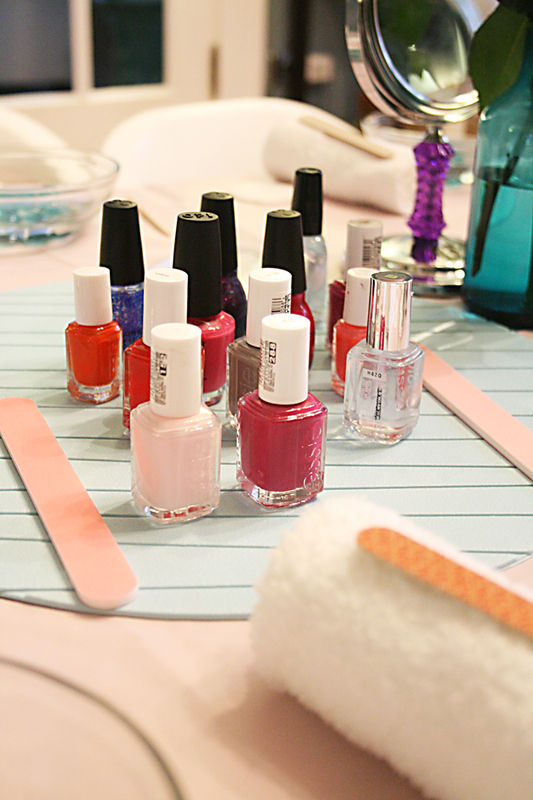 The Thank you box was filled with a compact mirror, lip gloss and a little bottle of nail polish. All these items I got for a dollar. Thankfully it was around Christmas time, but I linked similar items below. The black and white striped paper bag was for the candy and to throw in anything else they took home. For the table center piece, Chloe and I made red candy apples and hung them on a little Christmas tree branch centerpiece to continue the red apple theme in the party. 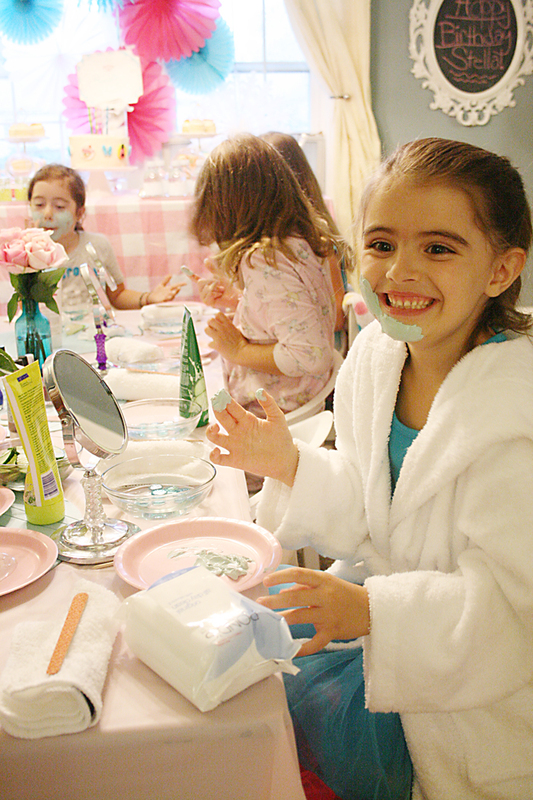 Chloe and her friends had so much fun applying their own makeup and hair applications. After looking all pretty, they had a dance party with Descendants Just Dance and then watched the movie Descendants, of course. So much fun!! Please let me know if I have miss anything. Also if you have any troubles downloading the printables. 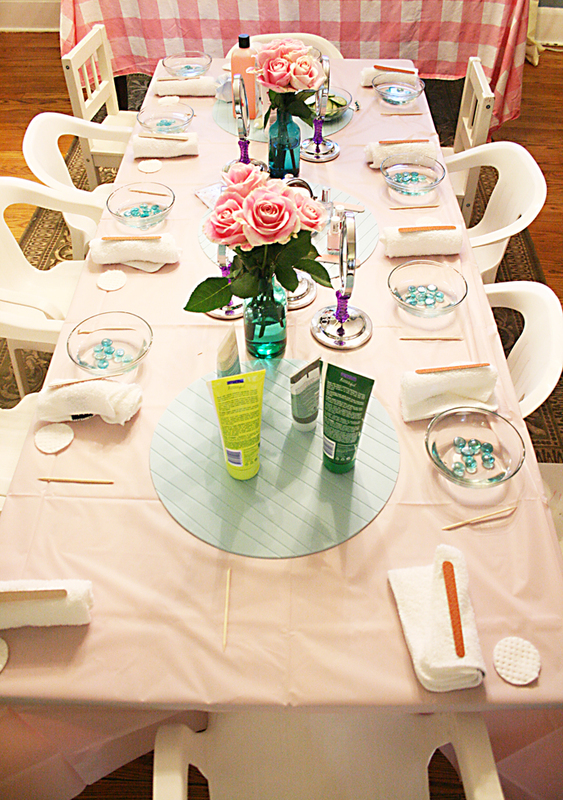 Want more Girl Party Ideas? 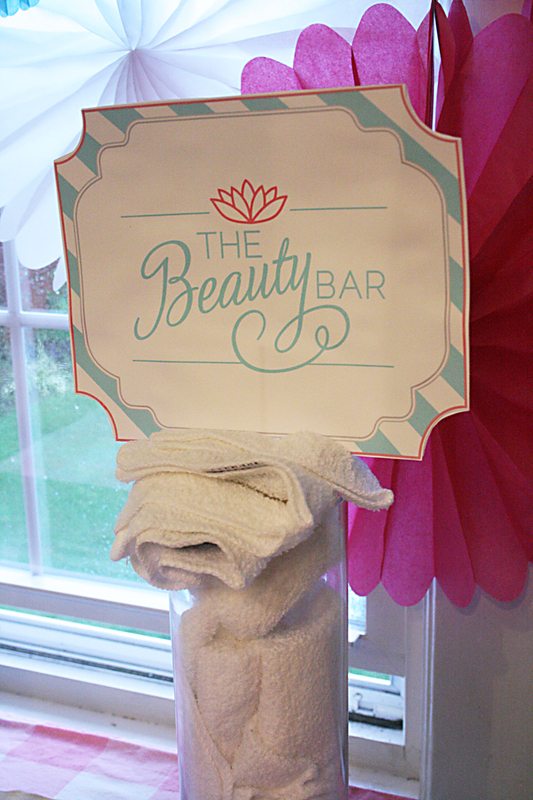 Check out my Pinterest board for more ideas!